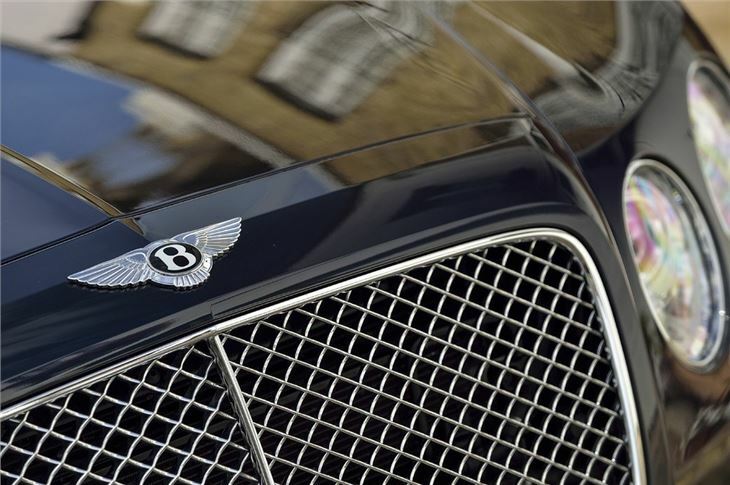 Few brands hold the same eminence as Bentley. 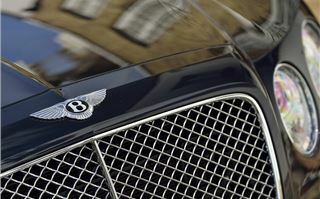 That famous winged badge has always been associated with opulence and performance - an image the brand continues to enjoy. Few manufacturers have such a rich heritage and very few brands make cars in the same way Bentley does. 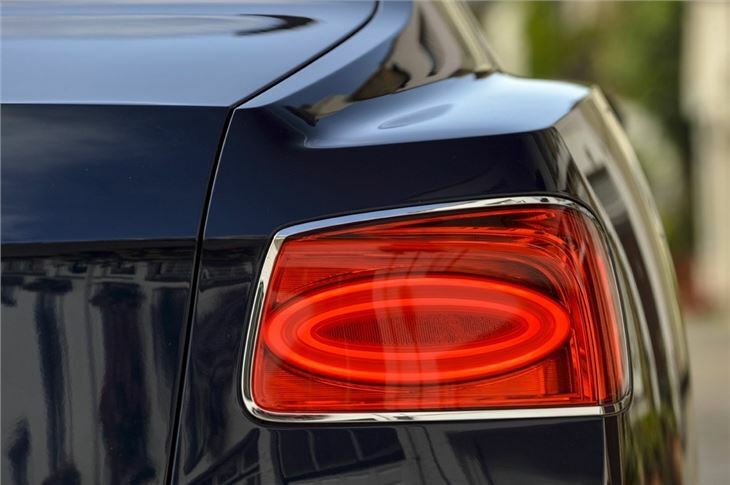 So it's no surprise that the first time you get into the new Flying Spur is a very special experience. 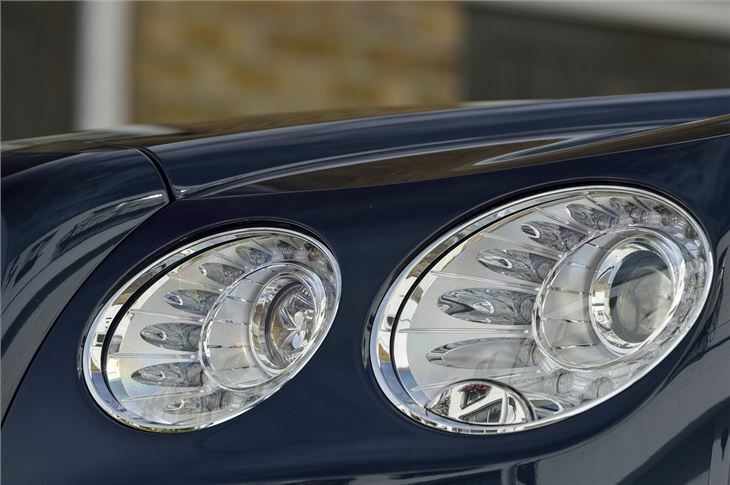 Bentley describes it as an 'unrivalled blend of effortless driveability, exquisite luxury and craftsmanship' and it's hard to argue with that. 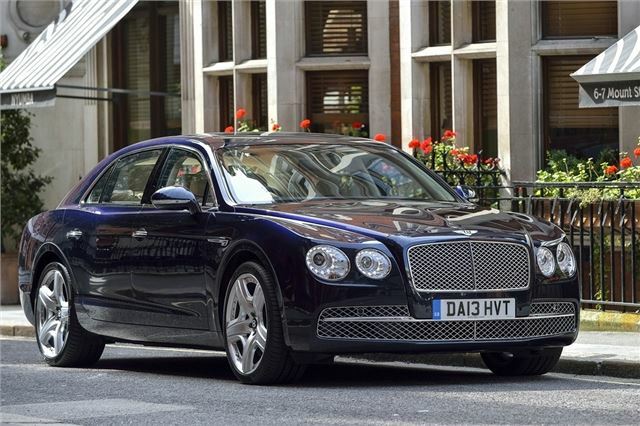 This is no 'poor' relation to the more expensive Mulsanne either. 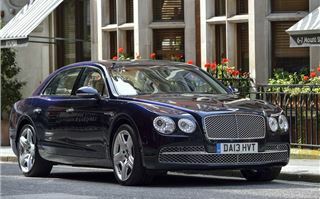 The Flying Spur has more power - in fact it's the most powerful four-door Bentley ever - it's a car designed to be enjoyed both from the driver's seat and when sat in the back. And it's in the back where you can appreciate the quality of the Flying Spur. It's wonderfully hushed and supremely refined - everything we've come to expect from a Bentley. Yet it's not an anodyne experience. You certainly feel cosseted away from the outside world, but it still has character and warmth. The hand crafted interior is unrivalled by anything else on the market and there's a real sense of occasion. 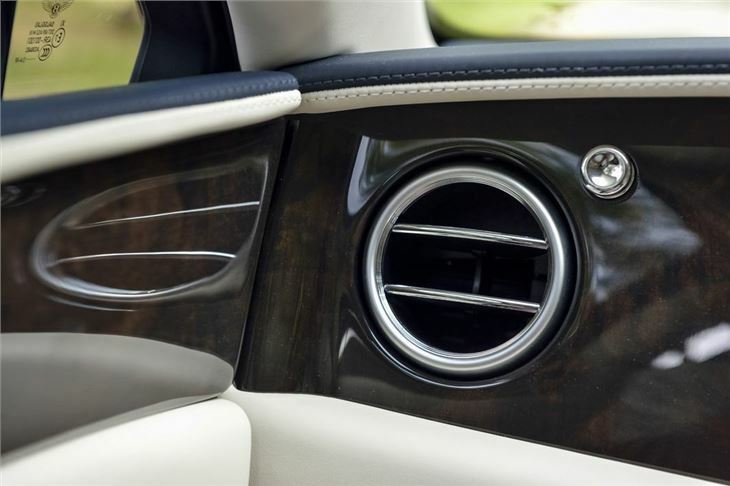 Each Flying Spur uses nearly ten square metres of natural wood throughout the cabin - plus of course those famous organ stop air vent pulls. 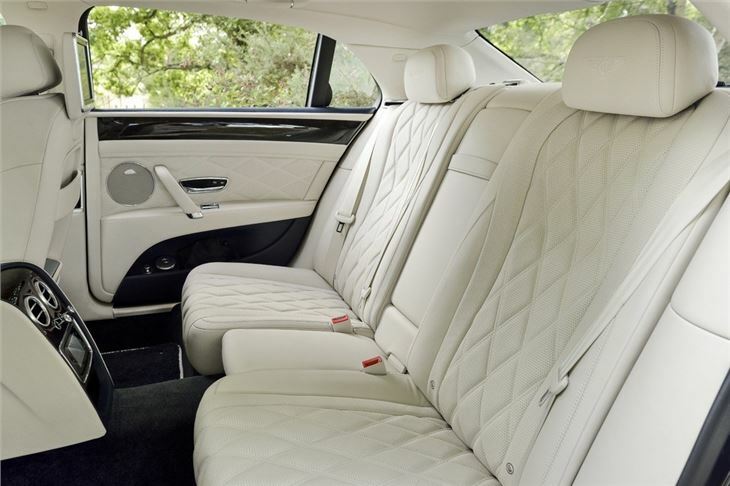 You could happily spend all day sat in the back of the Flying Spur, it's that serene. It manages to feel comfortably spacious but intimate at the same time helped by the fact that pretty much everything is covered in leather, even the roof lining and pillars. 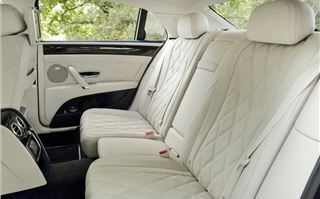 The redesigned front and rear seats use a softer but more durable hide unique to Bentley and is available in twelve different colours. There are both four and five seat configurations and every seat has 14-way adjustment along with seat heating and ventilation. 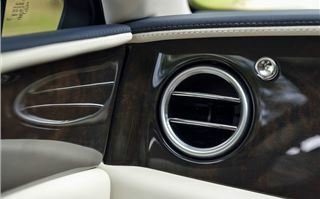 While the Flying Spur has a traditional interior, there are plenty of modern touches too. 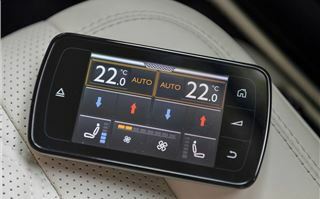 If you're sat in the back you can use the neat touchscreen remote to set the ventilation, navigation and monitor how fast you’re travelling. 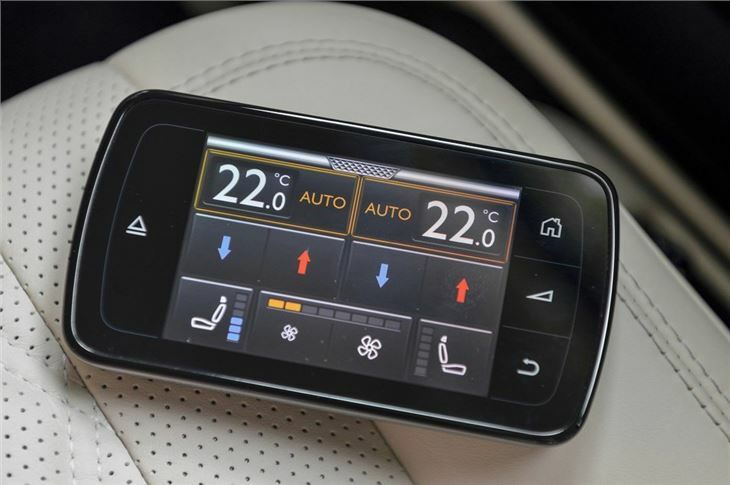 Opt for the Multi-Media Specification and you can turn the Bentley into a wi-fi hot spot plus you get two 10-inch screens fitted into the back of the front seats. This isn't a car that's just about being driven in though. Bentley is keen to emphasise the driveability and performance of the new Flying Spur and it's certainly no cumbersome lump on the road. It may be 50kg lighter than before but it is still hefty, tipping the scales at almost 2.5 tonnes. However, despite its huge bulk, the car always feels light on its toes, with an ability to stop and go with no pitching or diving. Of course the ride is impeccable - as you'd expect - thanks to independent computer-controlled air suspension. 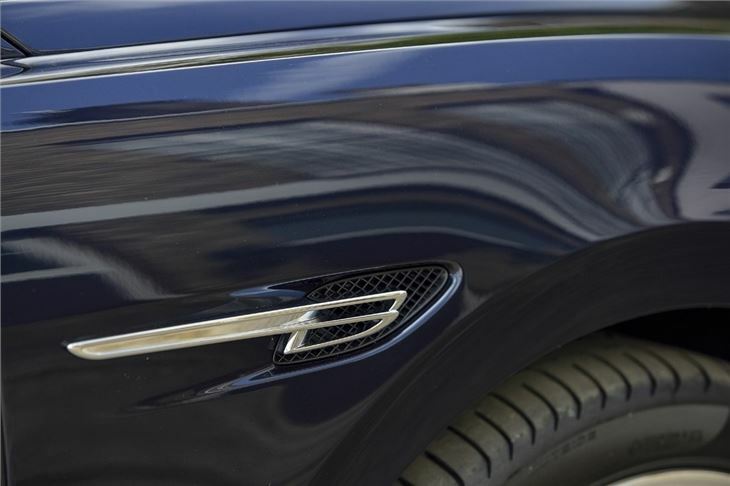 The Flying Spur also gets new springs which are softer in standard driving but have stiffer settings for cornering which means less body lean. The result is a car that's still relaxed, yet will happily tackle tight turns effortlessly and without rolling all over the shop. Standard four-wheel drive means traction is superb with a 60/40 split in favour of the rear wheels although the system can alter this so that up to 85 per cent of power is sent to the back axle. The standard wheel is a 19-inch design with a tyre that was specifically designed for the Flying Spur. It has a bigger sidewall than before for extra ride comfort. 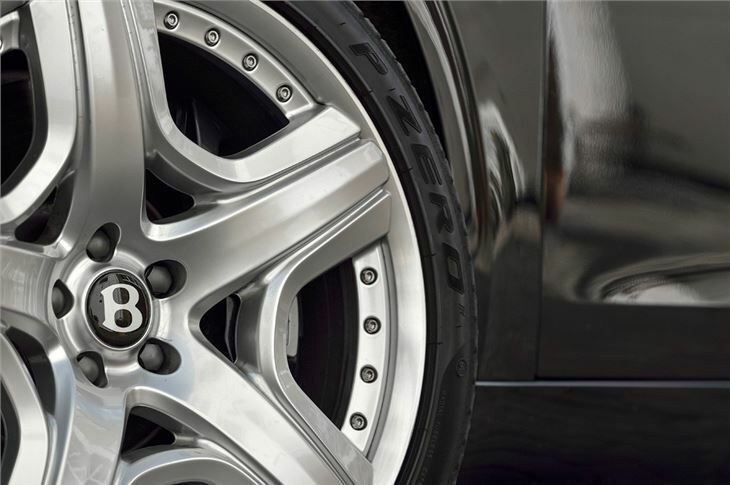 Bentley actually tried 12 different tyre compounds before choosing this one. 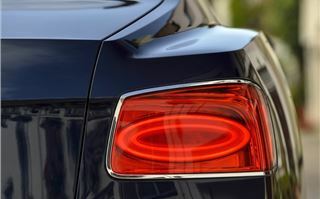 Of course, if you're more concerned with style, fear not because optional 20-inch and 21-inch wheels are available - the car in our pictures is fitted with the latter. From behind the wheel of the Bentley, you never forget that you're driving a big car, yet it does surprise you with how nimble it is considering its size. The steering has a good weight to it and the performance is stunning. 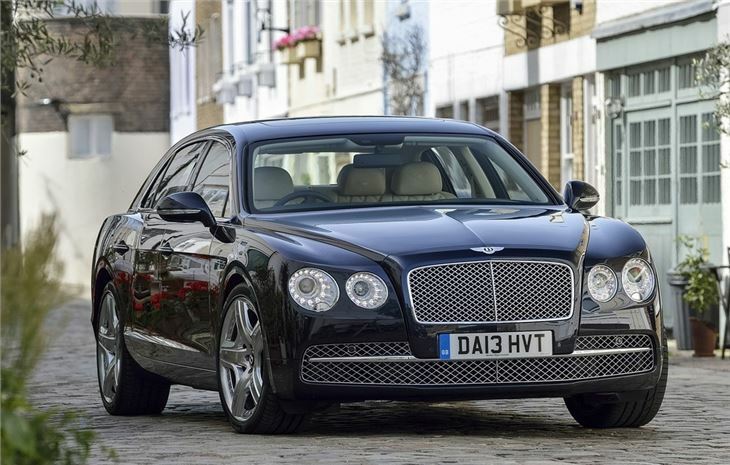 The Flying Spur has the renowned W12 engine taken from the GT Speed with 625PS and a mammoth 800Nm of torque, which peaks at just 2000rpm. It launches like a rocket ship from a standstill, yet with no drama, instead that speed just builds and builds with a lovely low rumble from the 6.0-litre twin turbo unit. It's further helped by the latest ZF eight-speed automatic, which is a huge improvement from the old six-speed gearbox. The changes are still super smooth but it's much more responsive, both at shifting up and when you decide to use the steering column mounted paddles. Although for me these are still frustratingly not attached to the steering wheel. 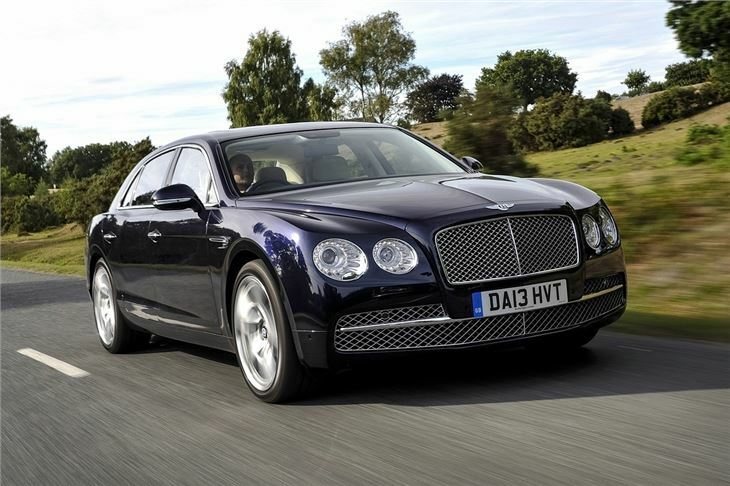 That said, the Flying Spur is not a car you need to take manual control of as it's so good in the standard D mode. 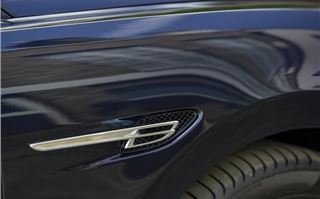 As with any Bentley, there's a huge scope to personalise the Flying Spur with 17 standard paint colours including a new Dark Cashmere. The extended paint range has more than 100 colours and adds a new Damson colour, inspired by the extremely rare purple diamond, that comes with an optional matching hide colour. If you really want the ultimate, there's the Mulliner Driving Specification which gets a host of luxury extras including the traditional diamond quilting on the seats and door panels. 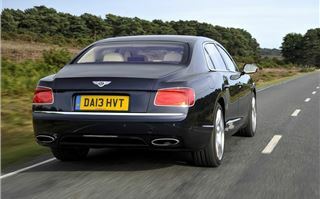 The Flying Spur really is a special car and one that's a pleasure to drive or be lucky enough to be driven in. With prices starting at £140,900 it is of course a very expensive luxury and it's easy to add much more onto that. The cars we were driving had £40k of options fitted. Sure there are plenty of less expensive limousine-like models out there, but nothing can hold a candle to the Bentley. It really is in a class of its own.